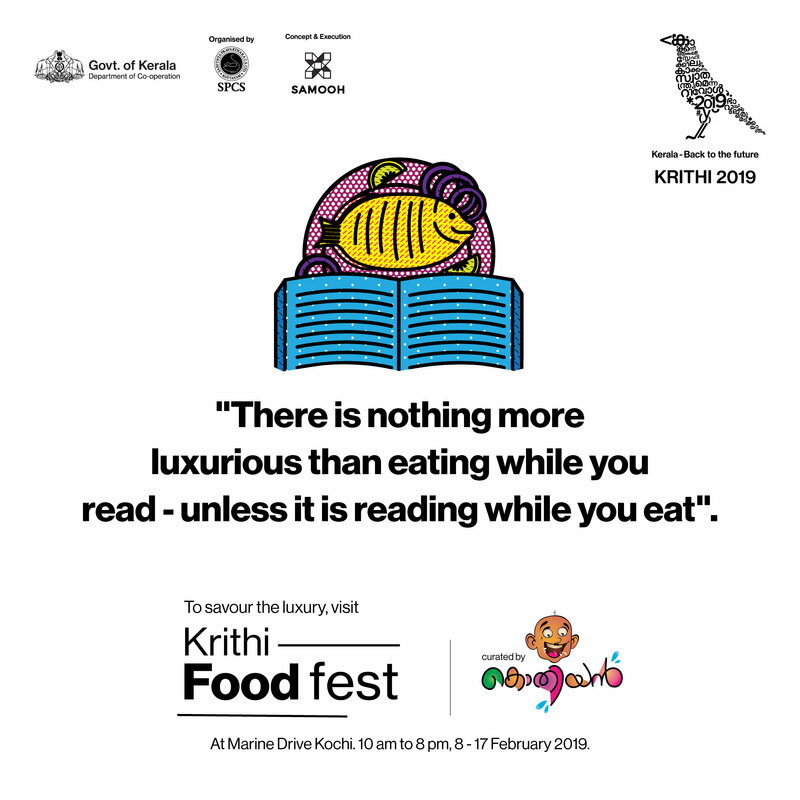 Don’t be under the impression that ‘Krithi Food Fest’ is just another eating place for 10 days. The Fest will satisfy not just your sense of taste, but is going to provide enough ‘Food for Thought’ as well. You are going to experience the vast diversity in our Nation’s food culture as various cuisines from different states will be at your plate. You are also going to know how these diversities evolved and what binds the foodies in one single thread despite these diversities, as ‘Food’ is one of the subject domains of the associated Literary & Knowledge Festival. ‘Krithi’ respects everyone’s sense and choice of food. Well, no more talking as the ‘ Taste of the pudding is in the Eating’.